I'm Doug Turner, owner of TCF. I love what I do, though there are easier ways to make a living. Custom furniture making is hard, I won't lie. It involves a lot of skill and is demanding physically and mentally. There are not a lot of qualified furniture makers around, and the few builder out there tend to own their own shops. It is difficult to keep the shop clean, tools sharp and focus on cutting, joining, and shaping wood. But these things are necessary to ensure a high quality finished product. TCF uses a variety of fine hand and power tools in the construction of the furniture we make. Chisels, hand planes, routers, and the like are all used extensively in our work. We are not burdened with large, costly machines designed for heavy production environments. Instead, we focus on high-end, hand-crafted furniture, not kitchens and bathrooms made of plywood. TCF uses only dovetailed drawers, either hand-cut or machine cut, as the budget allows. All drawers are solid wood, with solid wood bottoms or high grade Baltic birch ply bottoms, again, as the budget allows. Drawers look best in a complementary wood tone: solid ash drawers in a walnut cabinet, for example (middle photo). We do not use plywood for drawer body construction, ever. Custom veneer work is a TCF specialty. Owner Doug Turner learned the craft of veneer work many years ago, and took to it immediately. We only use veneer in specialty capacity, such as for curved drawer faces or detail not possible in solid wood. We do not use veneer instead of solid wood. Veneer work is generally more expensive than solid wood, as it is very labor intensive. 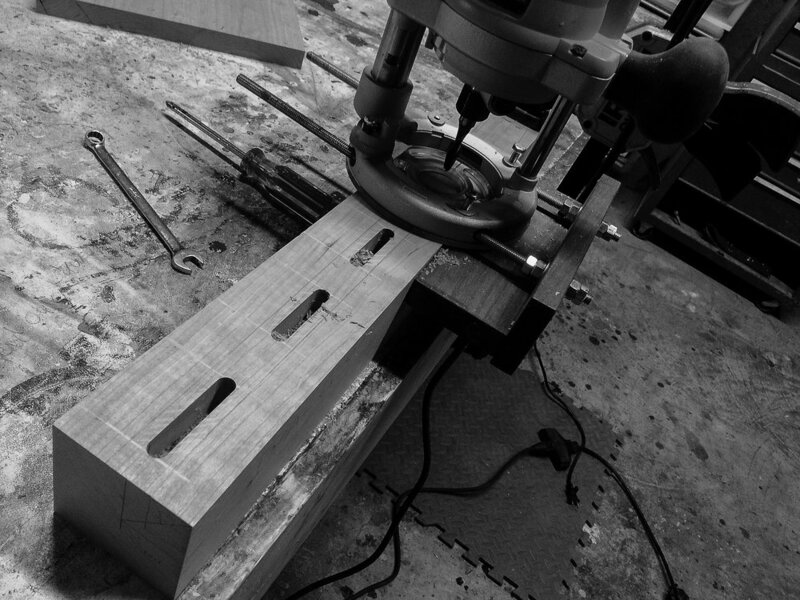 TCF use a diverse array of joinery techniques in its custom furniture making process. Dovetails, mortise and tenon, bridle and half-lap, to name a few. We do not skimp on joinery, ever, even when the joinery is complex, such as the case in the middle photo, which is the curved back-splat of a chair.